If you've ever tried to marry trendy accents to a timeless aesthetic, then you know that it can be a bit of a challenge. But this beautiful kitchen by Michelle Janeen somehow makes it look totally effortless. An all-white color palette reflects an abundance of natural light around the space for a fresh atmosphere, as rattan roll-up blinds enhance that vibe with a bit of boho attitude. Down below, a traditional kilim rug's rich hues add warmth to the room, while a few plants infuse the area with even more movement. Most of the elements in this kitchen are of the timeless variety, which helps pave the way for trendy accessories — like the chic black hardware and matching pendant lights — to give the look a modern edge. So, lesson learned: if you want a trendy-meets-timeless design, then make sure to follow this lead. 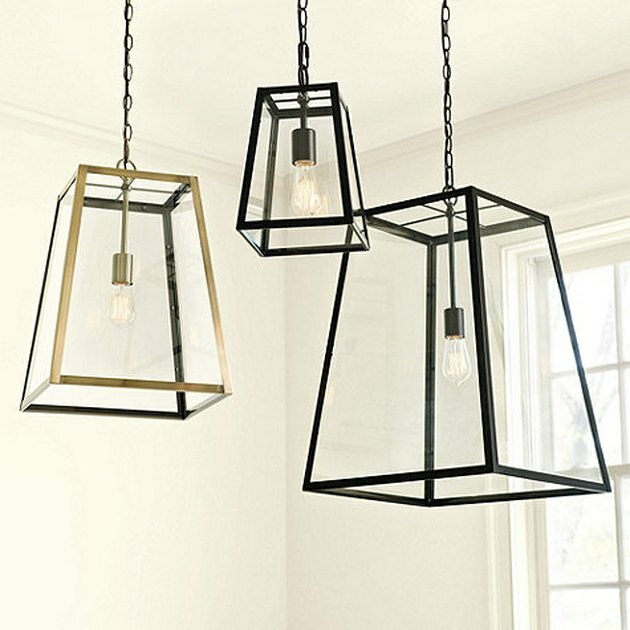 Give your kitchen a trendy update with a black pendant light or two.